Thousands of runners dressed as Santa Claus have jogged through a London park to raise money for Great Ormond Street Hospital, according to itv.com. Hospital staff, patients and families of all ages and abilities walked, sprinted and wheeled their way through the 5km and 10km courses on Clapham Common. 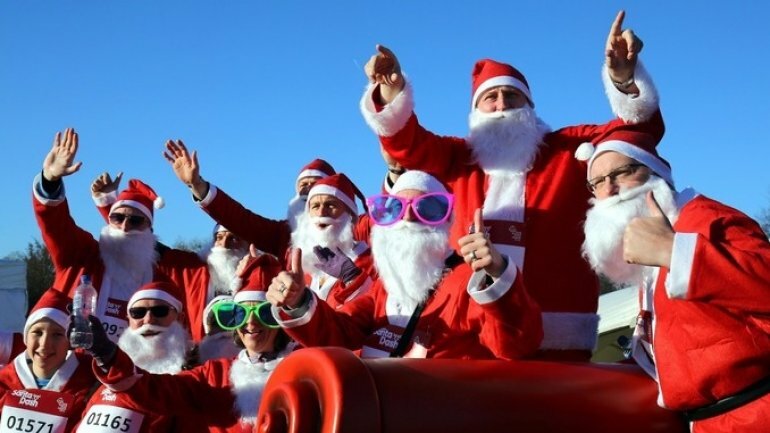 Around 2,800 runners took part in the London Santa Dash, hoping to raise £300,000 for the children's hospital. Runners were greeted at the finish line with mince pies and mulled wine, while a brass band and carol singers performed. Tim Johnson, chief executive at Great Ormond Street Hospital Children's Charity, said: "The money raised today is going to enable us to develop the hospital so we can treat more children, and importantly fund research so that we can find new and better treatment for the children who come to Great Ormond Street."